Capra Architects is well known for its unparalleled experience in ballistics design solutions for specialist police and military training centres, but our expertise is much broader than this. Many of our projects have included wider requirements for general Police training, office and support accommodation as best value is sought from public services by co-locating staff and key operational facilities. 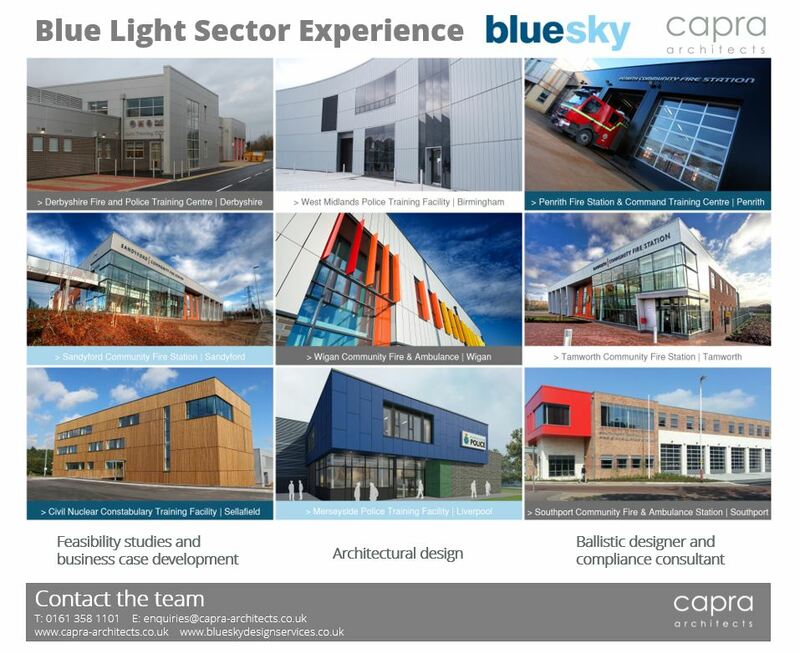 Capra is also part of Bluesky Design Services. This partnership means that our specialist team have access to a larger team of expert Architects and Architectural Technologists with experience of the ‘Blue Light’ sector, in particular shared emergency services accommodation facilities and the coordination of multiple stakeholder needs. All projects can be undertaken from feasibility design, through planning and detailed design to completion of construction.